The Bombshell Skinny in Noir is a great curve hugging high rise to show off your greatest assets! I love the all-black look…it is anything but boring! It seems like unlike any other shade, it’s easier to play up, and it makes anything else, like hardware or other edgy details, pop! I don’t live in a large city, but it certainly seems it’s more of a big city thing (especially in the winter). Either way, I enjoy pulling it off sometimes in the small coastal town I’m from. Here is Lavenda’s Closet blogger Lavenda Memory blacking out with Parker Smith! I just love her look. She’s wearing the Bombshell Skinny in Noir, which has a high 10.5″ rise for an ultra flattering, curve hugging fit! It’s cut with the brand’s shaper stretch denim, and hits at the ankle for a cut that fits well into boots and works perfectly in the summer to show off some sick heels or a pedicure. I can tell you from reviewing several Parker Smith jeans, that these are so luxuriously soft too! 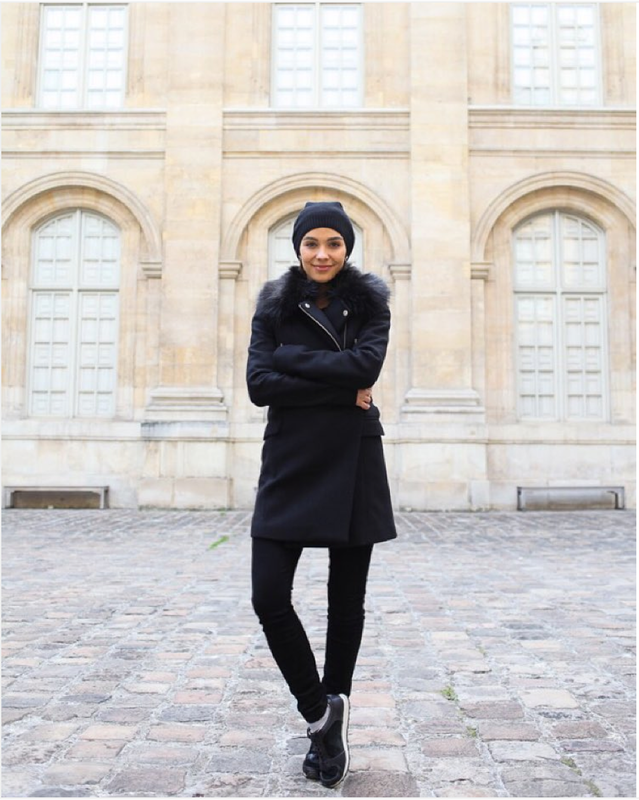 Lavenda’s look is rounded off with a long black jacket, black beanie, black sneakers and a black graphic tee for a bit of a pop of white for contrast. Shop the Parker Smith Bombshell Skinny in Noir here, and view Lavenda’s blog post featuring this look here!